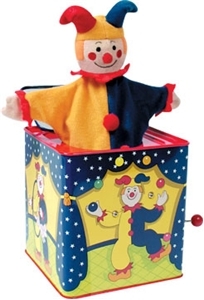 Our classic JACK IN THE BOXES are a great addition to every child's toy chest. They're sure to bring a smile to every child's face. Each tin box is a little over 5" tall and has a plush puppet.Plays Pop Goes the Weasel.